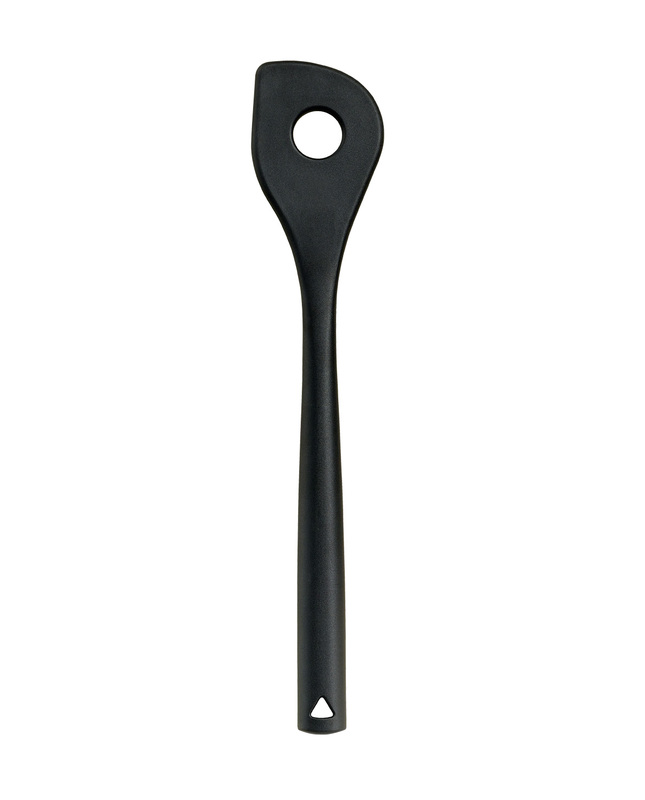 The sturdy and highly temperature-resistant mixing spoon is suitable for pots as well as for non-stick pans. The high-quality special plastic is heat-resistant up to 270° C / 518° F , so that molten edges are a thing of the past. The asymmetric contour allows the spoon to reach each corner, while the hole provides less resistance and a better mixing performance. 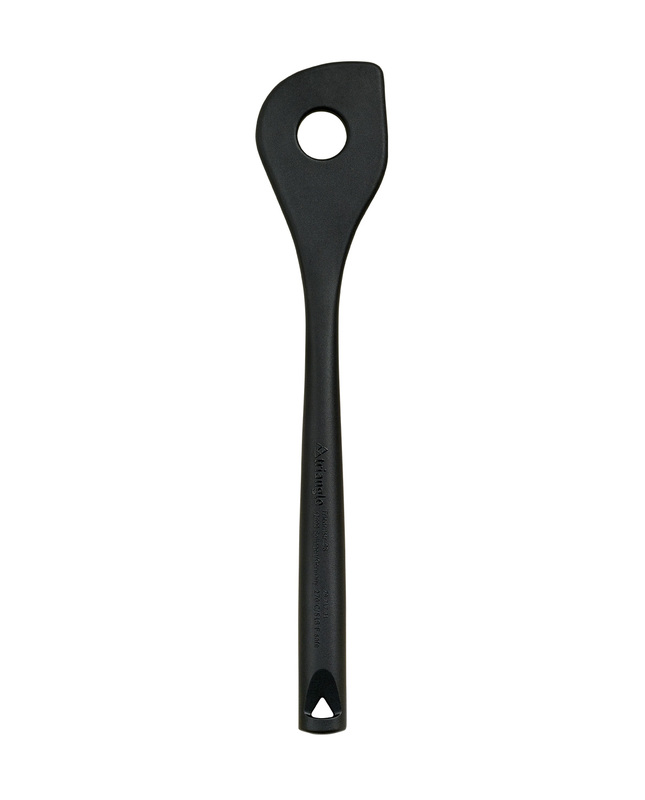 The massive handle design with hanging hole lies firmly and comfortably in the hand. A small groove on the back of the handle prevents the turner from sliding into bowls or pans.